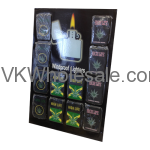 Buy our good quality windproof lighters wholesale for low price and save money. 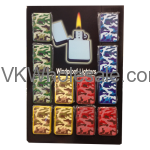 These windproof lighters are best for your smoke shop, gas station, convenience store or c-store inventory list. Lowest price that can help you stack up more profit. 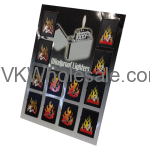 Minimum quantity for "High Life Windproof Lighters 12 PCS" is 1. 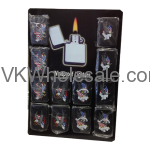 Minimum quantity for "Lady in Fire Windproof Lighters 12 PCS" is 1. 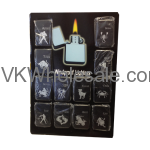 Minimum quantity for "Zodiac Signs Windproof Lighters 12 PCS" is 1. 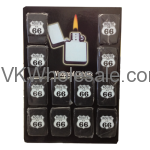 Minimum quantity for "Route 66 Windproof Lighters Black 12 PCS" is 1.